Carnival of HR: Make HR Better Edition !! Before I list the links to these fab posts, I want to share how I’d make HR better . . .
It’s simple and the Carnival is a great example. I have this audacious goal to connect all HR people together around the world. A great way to do this is to share other’s work on a regular basis as well as connect with the bloggers on purpose. So, as you read the works included, follow the authors on Twitter, look for them on Linked In and connect with them going forward. I enjoy each of the folks who submitted and hope you do as well !! Let’s see how they would make HR better !! Gem Reucroft (@HR_Gem on Twitter) stuck straight with the theme and I dig that !! HR would be better if . . .
Doug Shaw (@dougshaw1 on Twitter) keeps things simple, yet profound with Three Little Words. Keith Gulliver (@KeithGulliver on Twitter) follows suit with simplicity in Better If . . .
Kristina Minyard (@HRecruit on Twitter) encourages us to see if our perspective on HR is positive or negative in Pride and Perspective. Heather Kinzie (@LeadingSolution on Twitter) jumps alongside and asks us to be committed in her How I Would Make HR Better post. Justin Harris (@UnlikelyHRGuy on Twitter) asks folks to Recruit Different. David Kovacovich (@DavidKovacovich on Twitter) wants us to have perspective on how policies affect HR in Is Policy the Enemy of Trust? Mary Faulkner (@mfaulkner43 on Twitter) wants all of us to join in Making (HR) Leaders Better !! John Sumser’s (@JohnSumser on Twitter) HR Examiner always has forward thinking posts like this one from Neil McCormick – My 2015 wishes for HR. Jonathan Segal (@Jonathan_HR_Law on Twitter) shares his 8 New Year’s Resolutions for HR. Maggie Frye (@Maggie_frye on Twitter) gave a step forward with the theme with her post HR Would Be Better If . . .
Dwane Lay (@DwaneLay on Twitter) moves us on the continuum of Resolution, Evolution, Revolution. Nathan Hopper (@nathanhopper on Twitter) gives the theme a twist with HR – The New 4 Letter Word. Robin Rothman (@robinlrothman on Twitter) adds great thoughts for Happy New Year 2015 and beyond for HR. Jennifer Payne (@JennyJensHR on Twitter) is the facilitator of the fab Women of HR blog and she also has a look forward with 2015 . . .Welcome to the Future. Julie Waddell (@jawaddell on Twitter) shares her insightful thoughts on I Would Make HR Better By . . .
Craig Farrell, a person looking to get into HR, shares HR Would Be Better If . . .
Barb Buckner (@BarbBuckner on Twitter) shares really cool thoughts on her take on HR Would Be Better If . . .
Mike Haberman (@MikeHabweman on Twitter) gives some succinct advice to us with Advice for HR to Live by: Just Stop It! Ian Welsh (@ianclive on Twitter) looks at this year and ahead with How Can We Make HR Better for 2015 and Beyond? Robin Schooling (@RobinSchooling on Twitter) comes with one of our fave catch phrases with I’m from HR. And I’m Here to Help. Broc Edwards (@brocedwards on Twitter) asks if it’s possible for Making HR Better? Tanveer Naseer (@TanveerNaseer on Twitter) asks Did We Succeed in Putting Our Employees First? Brad Galin (@bradgalin on Twitter) keeps things down to earth with Improvement begins at home! A unique opportunity for HR from Steve Brewer from Burrt Jones & Brewer (@honestdesign on Twitter) – Why doesn’t the HR Department have more of a role in workplace design? Make sure you connect with all of these great HR folks !! I’ll be checking to see if you do because I want all of us to Make HR Better !! Author Steve Browne (Admin)Posted on January 14, 2015 January 14, 2015 Categories HR, HR Strategy, Social MediaTags Carnival of HR, encouragement, HR, HR Blogs, Human Resources, Positive HR6 Comments on Carnival of HR: Make HR Better Edition !! This is the “post before the post” for this week. I am hosting the Carnival of HR for January this coming Wednesday 1/14/15. For those of you who are HR bloggers, this is a request for you to help me set a new standard for this great forum !! Shauna Griffis (@HR_Minion on Twitter) has been the faithful behind the scenes facilitator of the Carnival for years. She asks people to host and I’m GEEKED to do it once again !! Write a post, or share one from your site, that fits this theme. Think of how you’d like to see HR get better !! E-mail me a link to your site at: sbrowne@larosas.com and I’ll make sure you’re included !! Use the hashtag #makeHRbetter when sharing this month’s Carnival. Now, here’s where I want to set a new standard !! I think people are great at sharing their own posts, but we don’t share the work of others as much as we could. I am a HUGE fan of other’s HR Blogs. My Feedly reader has 150+ blogs that I read and share regularly. I have a wild, audacious goal of connecting every HR professional in the world, and I’m going to get there someday. So, I’d love to feature YOU and your site to the HR community. I’d like to have the most posts ever for this month’s carnival, and I’d like to hear from my blogging friends from around the globe !! I’ll be watching my inbox to look for your submission !! Join me and join this carnival. It’s time to curate and create community and I want YOU to be included !! Author Steve Browne (Admin)Posted on January 11, 2015 Categories HR, Social MediaTags Carnival of HR, Community, Curation, HR, HR Blogs, Human Resources4 Comments on Join the Carnival !! Is It Inside You ?? I love to write. It’s cool to have a blog to make this happen. But what if there’s more? 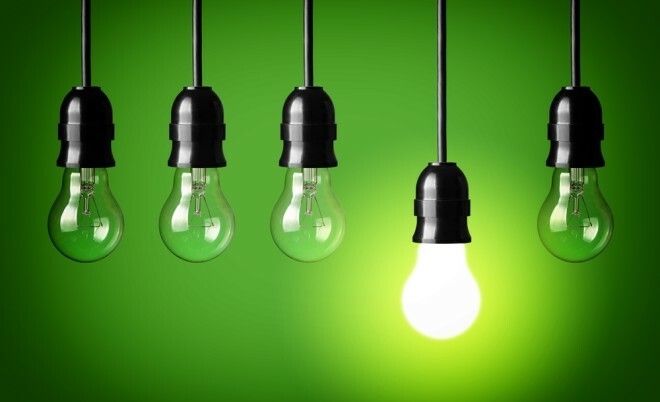 Are there ideas that have been percolating and they are just aching to get out? Have you read other’s people’s work and thought “I could do that ! !” Well, what hold’s you back? How do you go from a wish and make it come to life? 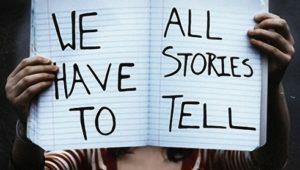 What if you wrote an entire book ?? I have a few HR friends who have done this and put out some amazing content !! I would recommend you picking up Dwane Lay’s Lean HR, Jason Lauritsen and Joe Gerstandt’s Social Gravity and Dr.Daniel Crosby’s You’re Not That Great. The took the jump of making that inner voice public. All of them are great resources !! 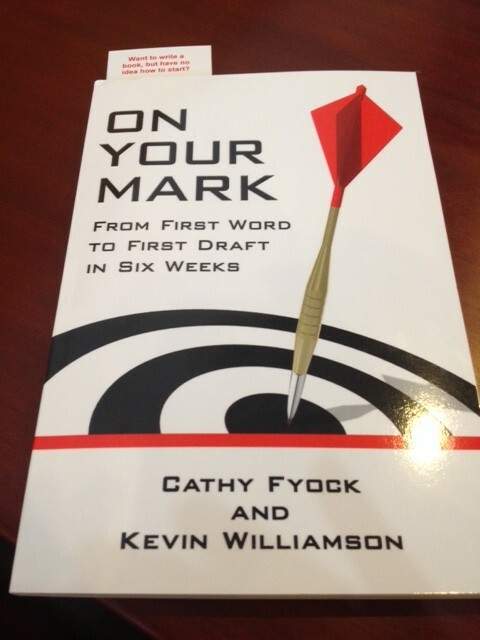 Another great resource is the new book by Cathy Fyock and Kevin Williamson entitled On Your Mark: From First Word to First Draft in Six Weeks. They provide the perfect starter to get your words down on pages and into a book. You see, they wrote a book on how to write a book. Brilliant !! I loved this book because it demystifies what most would think is a daunting task. Don’t get me wrong, it’s still a huge amount of work which takes intentional effort and discipline. However, Cathy and Kevin give tangible examples and break down the process into manageable pieces. The exercises at the end of each chapter will help you build the discipline you’ll need to create your book. I’ve been seeing a flurry of blogs later that are saying that HR seems to be stuck in an endless loop. The thought is that people aren’t coming up with creative ideas, but I disagree. There is still so much to learn, share and generate. More and more people are joining the blogosphere from HR. It’s great to see new voices and I still make sure to read the myriad of posts which come out each day. I think it’s better to be positive about what’s being said. You can always learn from what others have to offer. Make sure to get Cathy and Kevin’s book. After reading it you’ll see if you want to take that next step. They make writing a book seem not only attainable but also inviting. I know it peaked my interest !! Now to get that voice out to see what hits the page !! Author Steve Browne (Admin)Posted on May 18, 2014 Categories HR StrategyTags creativity, encouragement, HR, HR Blogs, Human Resources, SHRM5 Comments on Is It Inside You ?? Recenty a phenomenal effort to pull the HR blogging community came to a close – the HR Bloggers Network. It was the brainchild of Laurie Reuttimann and I was fortunate to be included in this effort. The highlight for me in this was to be attached to a group of incredible HR pros who regularly offer great content to the broader HR community. I make sure to read each post these folks offer and utilize their wisdom, insight and advice in how I practice HR everyday !! Too often, when people read your posts, they don’t take that next step to look at a blogroll or see what others are saying. I’m like most people and have my “faves,” but honestly, I try to take in as much information as possible because it allows me to be a better HR professional. One can never learn enough . . . ever !! I have an approach that I’d like to share with you. I think HR people need to load their quiver. This way you have the arrows needed in order to protect yourself, hunt for new opportunities and attack those things that need to be addressed. 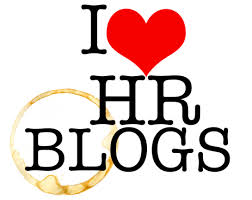 HR Blogs are a great way to load that quiver !! So, this week I want to break out the authors who made up the HR Blogger Network and make sure you know who they are, what their blog is about and where to find it. Please note that there are a myriad of other phenomenal HR bloggers out there, and I’m working on a way to feature them as well. My goal is to reach the entire HR community !! I know that’s a huge goal, but we are only better by being more connected. Make sure to take this list of bloggers and share them with others. Don’t just read this post and stop. 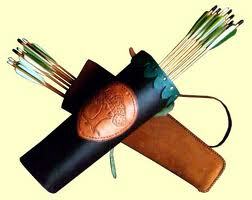 It’s time for us to arm everyone so that all our quivers are full !! Laurie Ruettimann (@lruettimann on Twitter) – Social media pioneer who has an edgy look at our profession. Always dig that she makes me stretch !! Her blog is The Cynical Girl. Bonni Titgemeyer (@BonniToronto on Twitter) – Founder of the Employment Opportunities List and the TEPHR community. Great voice on getting employment right !! Find her at The EO List. Elizabeth Lalli-Reese (@TXStrategicHR on Twitter) – Keeping HR strategic is always a good thing and Elizabeth offers a ton of insight and perspective on how to do this. Her blog is Texas Strategic HR. Lisa Rosendahl (@lisarosendahl on Twitter) – As an HR practitioner in the healthcare field, Lisa offers a grounded view on HR and on life !! You can find her blog at Lisa Rosendahl. Ben Eubanks (@beneubanks on Twitter) – Ben is the present and future of HR !! He offers incredible resources for younger people in the field. His blog is aptly named Upstart HR. Kimberly Patterson (@kimberly_patt on Twitter) – Kimberly truly takes a different look at HR. She is very passionate about what we do and wants to make sure that we look at all angles of what we do. Hence the blog title – UNconventional HR. Joan Ginsberg (@JoanGinsberg on Twitter) – Joan is a truly genuine HR pro who always gives a genuine look at all that we do !! That’s why it makes sense that her blog is titled Just Joan. Bill Boorman (@BillBoorman2 on Twitter) – Bill is a futurist and the driving force behind UNconferences literally around the globe. He’s always looking for what’s next. His blog is Norton Folgate – The Recruiting Unblog. Lars Schmidt (@ThisIsLars on Twitter) – Lars is all about recruiting, innovation and talent. He’s a compelling force on making workplaces better. You can find him at Amplify Talent. Melissa Fairman (@HrRemix on Twitter) – Melissa is a fellow HR practitioner who really has a solid handle on all facets of HR. Her advice is practical and applicable in all industries. Her blog looks to mix it up at HR reMix. Jennifer McClure (@JenniferMcClure on Twitter) – Jennifer has a great grasp on recruiting and integrating HR strategically throughout an organization. She is contantly looking how to reach the HR community. Her blog is Unbridled Talent. Victorio Milian (@Victorio_M on Twitter) – Victorio brings a cool vibe to all that he does. He offers a great perspective to recruiting issues and opportunities mixed in with a great musical taste !! Find him at Creative Chaos HR. Jennifer V. Miller (@JenniferVMiller on Twitter) – Jennifer has a focus on all aspects of Leadership, and she gets it right !! Her insight is very applicable at all levels of an organization. Her blog answers The People-Equation. Dan McCarthy (@greatleadership on Twitter) – Dan is another great voice in the Leadership arena. His focus on making us GREAT is phenonmenal – and needed. Connect with him on his blog Great Leadership. Lance Haun (@thelance on Twitter) – Self-described “nut about Talent Management” and an avid NBA fan, Lance gives a broad perspective to all areas of talent in organizations. His blog is Life Between the Brackets. Matthew Stollak (@akaBruno on Twitter) – Matthew is one of the few HR voices from academia. He is advancing the field and also training the folks of the future !! His insights can be found at True Faith HR. Paul Hebert (@IncentIntel on Twitter) – Paul is one of the few solid, objective voices on the topic of recognition. He doesn’t pull punches because he believes in the value of lifting others up !! You can find him at Symbolist. Robin Schooling (@RobinSchooling on Twitter) – Robin always has a great tale of experience from her career in HR. They are episodes that we all face at one time or another !! Learn from her at the HR Schoolhouse. John Nykolaisyn (@CigarSPHR on Twitter) – John has a great background in both the hospitality and education arenas. He likes to keep things fresh and turn others “on their head” in the workplace !! His blog is Fast Food HR. Ron Thomas (@ronald_thomas on Twitter) – Ron is currently an ex-pat working in a senior HR role in Saudi Arabia. He is a true global HR leader with an incredible look at all that HR does. You can find him at Strategy Focused HR. Steve Boese (@SteveBoese on Twitter) – Steve is the strongest voice in HR Tech !! In fact, he’s heading up the HR Tech Conference starting this year. He also hosts the incredible HR Happy Hour blog radio show. Connect with him at Steve Boese’s HR Technology. Tim Sackett (@TimSackett on Twitter) – Tim has a great viewpoint on HR in the field. His no nonsense approach is refreshing and challenging. His blog is at The Tim Sackett Project. Shauna Moerke (@HR_Minion on Twitter) – Shauna offers a bright, fresh look on life and HR !! If you know her you’d see this is true from her infectious laugh to her healthy wit. Find her at HR Minion. Tim Gardner (@TimJGardner on Twitter) – Tim brings a unique voice to the world of HR bloggers. A self-proclaimed introvert, Tim has a thoughtful, in-depth viewpoint every time he writes. His blog is perfectly titled The HR Introvert. Author Steve Browne (Admin)Posted on September 2, 2013 Categories HR Strategy, LeadershipTags connections, Difference, encouragement, focus, HR, HR Blogs, Human Resources, impact, Relevance, Resources, social media6 Comments on Load Your Quiver ! !